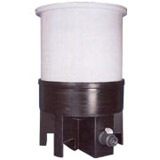 Looking for cylindrical open top plastic tanks? You've come to the right place! These open top flat bottom tanks are the perfect unit for storing chemicals, fertilizers and even potable drinking water. 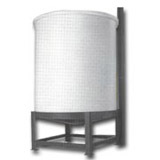 Made with thicker walls that provide a sturdy and lasting exterior, these cylindrical open top plastic tanks are equipped to handle chemicals as well as some acids and caustics. Supplying you with the most efficient tank possible, these units contain not only an open top but also a flat bottom. This, along with their shape, allows them to be completely self-supporting. 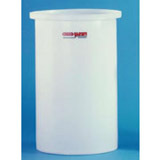 If you need to cover your materials, fitting tank covers are available with these open top plastic tanks.